VCU will have a jam-packed month of recruiting visits this September, visits that could have a major impact on the future of black and gold hoops on Broad St. Will Wade and Co. saw visits from the likes of targets Jose Alvarado and Hasahn French this summer and will continue to bring high-major players into check out what the Rams have to offer. Here is a list of confirmed players that will make their way to Richmond for a chance to be sold on a future of havoc basketball. Batts has trimmed his list down to just two teams: VCU and Clemson. The Rams will get the first crack at the talented top-100 North Carolina product when they bring the 6’2 guard to RVA the weekend of September 9. Clemson is scheduled to host Batts sometime after, but not date has been set. The Rams are trending as the hot pick to land ESPN No.99 player in the 2017 class, receiving five of the six expert picks at 247Sports.com. A one-time LSU commit, Russell reopened his recruitment this past April, which could end up being a very good thing for VCU. A 6’3 combo guard from Alexandria, LA, Russell had committed very early to LSU, giving a verbal to the Tigers back in 2014. Russell however is mixing things up this time, opting to host coaches for in-home visits before taking scheduled official visits to his final college list. He currently has visits scheduled with the Rams as well as Louisiana Lafayette, Texas Tech and Louisiana Tech. Multiple sources tell VCURamNation.com Russell would likely visit campus alongside 6’9 center, Sean Mobley, on September 23. VCU will host the 6’8 260-lb monster from Vermont Academy on Sept 16. The ESPN 4-star is a mountain of a man as just a rising high school senior and fits the mold of a bruising big Will Wade loves to have as an option in the paint. Santos-Silva announced a final eight of VCU, Boston College, Temple, Bradley, Kansas St, St Bonaventure, Duquesne and LaSalle, but it’ll be the Rams who’ll have a chance to woo the Vermont Academy center in just a couple of weeks. 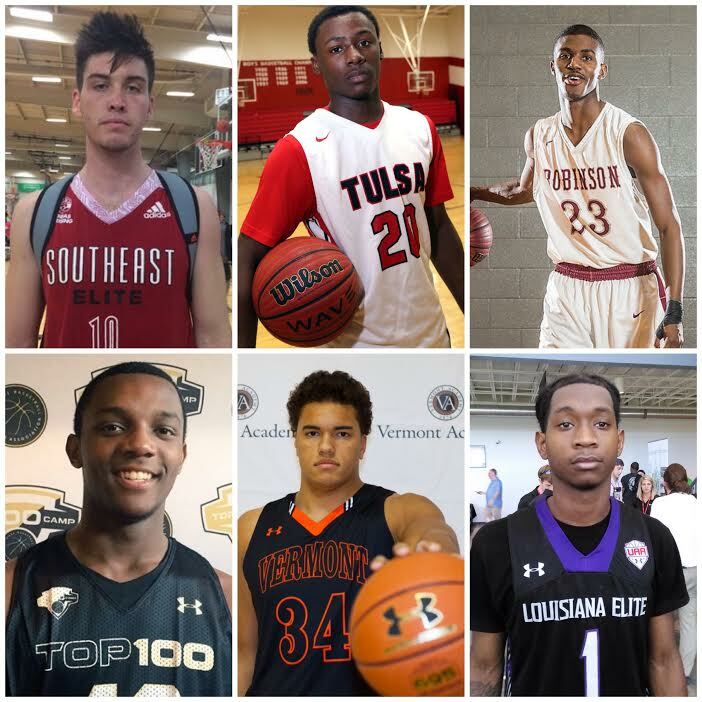 An ESPN 4-star point guard out of Korey Billburyland, aka Tulsa, Oklahoma, Landrum will take one of his officials to VCU during the middle of the month. He’ll take the first of his official visits however this week to SMU, a program on the rise but one that just lost Hall of Fame head coach Larry Brown to a somewhat out-of-nowhere announced retirement (not that surprising given SMU’s recent issues with the NCAA). If need be, Landrum will also visit Stephen F. Austin, FIU and Tulsa. VCU will be the first of three of Sean Mobley’s scheduled official visits. The 6’9 ESPN 4-star will come to town just before taking trips to both West Virginia (Sept 30) and Dayton (Oct 14). The skilled big somehow managed to fly under the radar despite playing at the high-profile Montverde Academy, but welcomed himself to the world and VCU this summer with a breakout performance at an event coincidentally named “Summer Havoc”. Side note: Mobley has the best player website I’ve ever seen at www.SeanMobley.com, which links to not highlights…but full-game footage. Impressive. VCU is one of Simms’ five official visits, bringing the 6’9 power forward from Blue Ridge to campus at the end of this month. The Rams are the current favorite to land Simms according to 247Sports, receiving four of the five expert picks as of right now. Both Simms and Batts also checked in as “high confidence” picks by the recruiting website, Hoopseen, to land at VCU. The duo have met previously, joining forces at this summer NBPA top-100 camp in Charlottesville. Come on, man. We need a subscription just read an article on VCU’s basketball team. Sheesh!